Is it time to (re)design your bathroom? Planning to choose or adapt the heating for your home? Then it’s a smart plan to visit Belgian sanitation and heating expert Facq. Since the company’s launch in 1880 by Jean Facq, five generations sustain and develop the reputation of this strong family brand. Today it’s a household name in the Belgian construction market, uniting over 700 collaborators in 38 Sani-centers, 15 Showrooms and 3 warehouses. It’s not easy to explain how to make your home and bathroom more energy and water efficient. And to make things more complicated, best-suited designs, systems and products will vary depending on the specific context of each project. Plus, you have to come to the point fast when sharing information, without being boring or too technical. Construction and renovation professionals have known this for years. After visiting the company’s stand at the 2019 Batibouw fair, lots of enthusiastic visitors now share this fact. 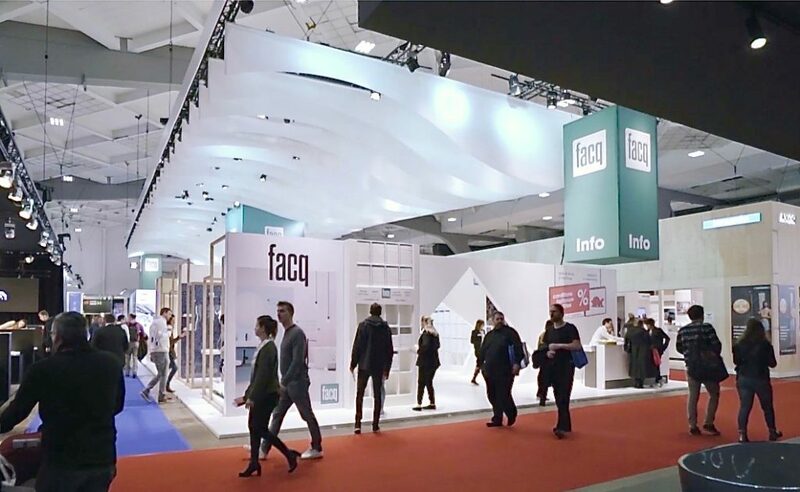 They tried out Facq’s new augmented reality application made by Emakina, and found it water-clear and as refreshing as a cool summer shower! 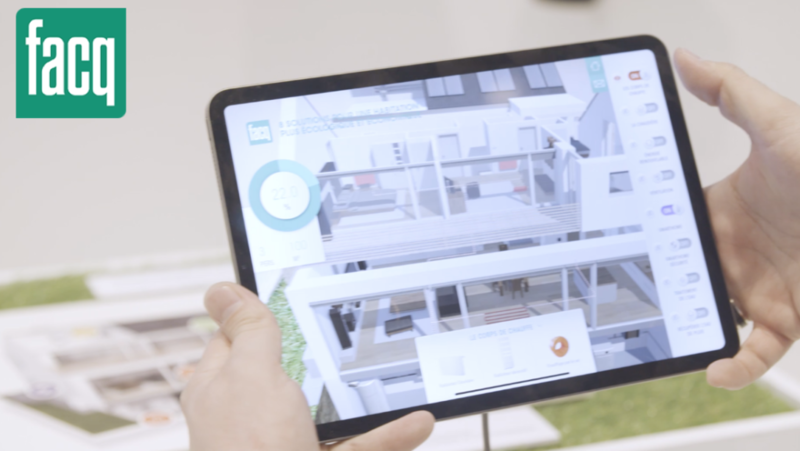 Emakina took the informative Facq ‘Green house’ website (available in French and in Dutch) as the starting point for the AR app. In close collaboration with Facq, the team created a practical AR tool that rapidly helps you answer ecological questions. Using a tablet, you see the economic, environmental and technical stakes for your project. The interactive app then guides you to the best eco-options and the next step to make them happen. The whole process is fluid, without becoming boring or overwhelming. When you point the tablet at the model home on a display, complex content comes to life on 3 screens. Each screen shows different levels of information in real time, linked to the sanitary and heating topics you selected. The center screen indicates your energy gain, left you see the key facts per solution type, while the right screen adds the product range for each solution type. You can quickly switch your focus to another aspect, go through possible issues and their corresponding solutions, while navigating through the house. The app also adds some interesting extras to the content available online. It introduces new safety technologies, ranging from alarm security and water leak detection systems to smart thermostats. After assessing the information, you can then select products on the tablet, to immediately receive new adapted data on the right screen. Once you have all the answers, you can select the solutions and products that fit your project and your choices are sent to you in a confirmation email. The combination of technology and ‘funification’ really worked. And the story continues. Emakina will start redesigning the Facq green house website, to make it more interactive, add extra categories, and 3D animations. So on we go together, towards new digital (ad)ventures!